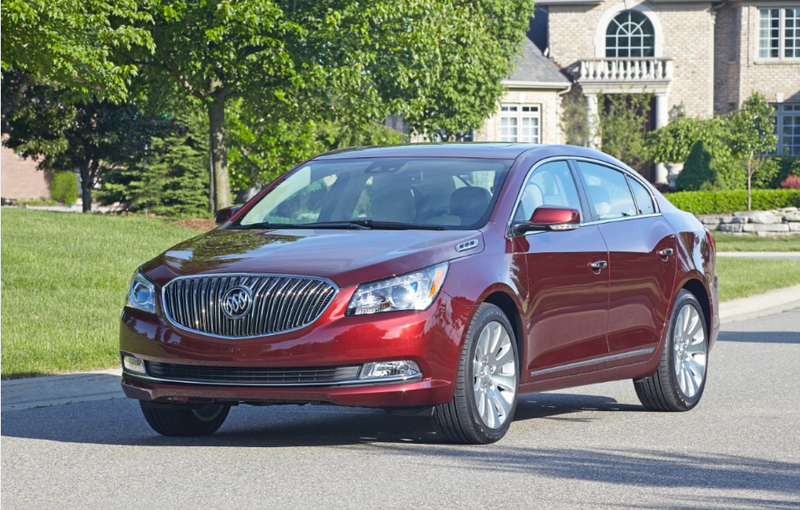 True to GM products of your, the Buick LaCrosse is like a fancier version of the Chevy Impala. What do you need to know before you buy a Buick LaCrosse? Don’t worry, we’ll tell you everything right here in the Ultimate Buyer’s Guide. GM’s Epsilon II platform is a good one. You can find it under the skin of some rather luxurious Cadillacs and (formerly) Saabs, so you might think this Buick, at just under $32,000 might offer some good value. And it does, but its own recently-updated brother, the Chevy Impala, might just offer more. Though the Buick offers a mild Hybrid powertrain and all-wheel drive as options, the V6 engine is the same as the Impala’s, as is the 6-speed automatic. Much of the interior features are the same between the Buick and the Impala, and even though the Impala starts out a little more spartan than the Buick, as soon as you go up a few trim levels, the Impala holds its own against the Buick in the luxury department while costing quite a bit less. The Buick isn’t a bad car, but it debuted in 2010 and received only a refresh in ‘14. So it’s not as new as the Chevy, which steals the limelight as the new kid on the block and offers the Buick’s refinement at a fraction of the cost. The second generation Buick LaCrosse launched at the 2009 North American International Auto Show to much praise, thanks to its new, modern Epsilon II platform, its nicely updated interior, and clean good looks. That car, a 2010 model, came with either a 3.0-liter V6, a 2.4-liter I4, or a 3.6-liter V6. The 3.0-liter engine was quickly dropped in 2011, and the 2.4-liter engine became the base motor. Then, in 2012, eAssist mild hybrid system became standard on all 2.4-liter base engines and the 3.6-liter got a boost in power. In 2014, the LaCrosse got a pretty big refresh. The interior was freshened up, as were the front and rear fascias, the headlights, and the taillights. 2015 brought some changes to OnStar, which now features a WI-FI hotspot as standard. For this year, the 2016 LaCrosse remains largely unchanged from ‘15, aside from some new color options, new 20” wheels for all-wheel drive models, and an updated infotainment system.